Since incorporation in the early 1960’s Silverthorne has grown with the tourism industry. Approximately 76 miles from Denver, Silverthorne is considered to be the gateway to Summit County,and truly offers something for everyone including fly fishing, golfing, Nordic skiing, shopping and rafting. 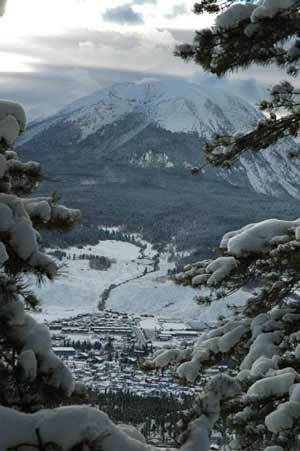 Unlike the other Summit County towns, 80% of Silverthorne is occupied by year-round residents. Silverthorne is centrally located in Summit County and provides easy access to four world-class ski resorts, which makes it such a popular destination. Silverthorne is probably best known for its shopping. The Silverthorne Outlet Stores offer an array of shops to explore, including over 70 name brand stores which offer exceptional quality and value. The state of the art Silverthorne Recreation Center encompasses 62,000 square feet and provides activities something for all ages including water aerobics, cycling, massage and Jacuzzi soaks. The elegant Silverthorne Pavilion borders the Blue River, and with its magnificent balconies, arched ceilings and spectacular chandeliers, it’s a perfect setting for weddings, concerts and plays. The Blue River offers some of the most beautiful alpine backdrops in the state and some of the most challenging (and rewarding!) fly fishing in the area. For more information on Silverthorne real estate contact Kelli today!